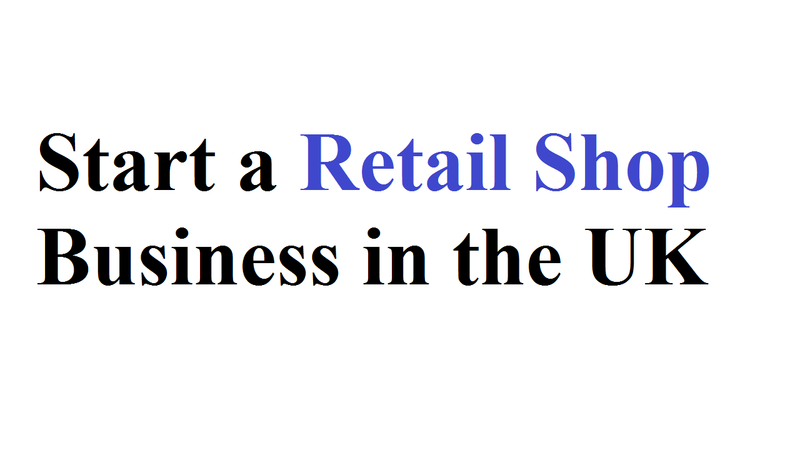 It looks like you’re looking for the retail shop business in the UK and want to start up a small business in the UK. However, there is some confusion and you’re suffering from indecision. You’re at the right place right now because you need not look further anymore. The fundamentals are the same as before. Your shop you need a solid business plan, enough start-up capital, and a strategy for getting customers through the door or to your site when you’re preparing to launch. Also, it’s vital that you properly think about the potential costs if you are considering starting your own business. It’s a goal of many people to own an own small business or a retails shop business. Those who made the dream real, you can be one of them while starting a retail business. Before you open your doors, you just need to understand what you are in for while you are in startup mode. You can have it all if you go in with your eyes open with confidence and faith. Moreover, you’ll learn how to start a retail store business. So, before you take the plunge, it’s better to learn it. Now, let’s know the top 5 awesome ideas to start a retail shop business in the UK. In the increasingly busy lifestyles, Britons are adapting their eating schedules. It means that we might squeeze in the fourth meal before bedtime if dinner is particularly early one evening. Also, a mid-afternoon salad will give us the energy to hit the gym if we’re planning a big workout after work. Indian street food and increased demand for plant proteins are the other trends the report highlights. That’s why the year 2018 is going to be great for these businesses. What are the food businesses great to start? Squeezing in another meal is already becoming a big trend with people leading busy lifestyles. A late-night restaurant, cafe, or deli would satisfy any cravings if someone wants to eat at night, perhaps after socializing. ‘Food trucks selling drizzled in chutney and puris stuffed with zingy vegetables could become a common scene’ according to the Waitrose Food & Drink Report. So, this is a good idea to start a small retail store selling street foods. Simply set up your own street food van and be ahead of the trend. Currently, people are paying their attention to what they’re eating and where they come from. Stapling foods are on the rise as the businesses exploring healthy alternatives. So, you can start a health food business that stands out after finding your niche. More than £5.6 billion is worth in the cleaning industry in the UK where more than half a million working people in this sector is. The cleaning industry is certainly one you should consider if 2018 is the year you want to tap into a large market. Although it’s dominated by small companies and sole traders, it’s a competitive industry. That’s why it’ll be great for you if you crave a niche in cleaning business. But, traditional house cleaning service differs from a cleaning company. If you can start a business around those, it’s better to think about it. What is the cleaning business great to start? There were 31.3 million cars on the road at the end of September 2017 according to RAC Foundation reports. The current trend for convenience could be a mobile car wash or car valet business to capitalize on this. You can start the business of window cleaning if you don’t fear heights. Also, you can work from the ground with the new equipment. As carpets get dirty soon they need to keep clean always. People may turn to a carpet cleaner to get their current one looking tip-top instead of buying a new carpet. One of the big parts of the UK business is alcohol and mixers. The people of the UK bought 47 million bottles of gin in the 12 months to September 2017. It means that you’ll definitely want to explore it’s as a business. With different botanicals like rhubarb and seaweed, new craft gins from small distilleries are constantly appearing, launching gins infused. There is playing catch-up by the mixers. This year could be a great year to launch a business involving premium mixers with the sugar tax being introduced in April 2018. What is the drink business great to start? Think whiskey finished in IPA casks along with premium mixers, Craft porters, and stouts. These are featured in the report of Waitrose Food & Drink in 2018. Developing more eclectic tastes, your own bar or pub could capitalize on consumers. One in seven Brits prefers to stay in to have a drink according to the YouGov study in 2017. So, you can do well this year with a convenient place to buy premium alcohol and mixers. The capitalizing idea on the trend for convenience is the subscription boxes that send products straight to a customer’s door. Selecting the latest and tastiest mixers you could set up your own subscription service. Titans brought back from the dead and the recent years have seen pop culture alive. Also, Friends is now available on Netflix, and vinyls along with the X-Files have been reopened for two new seasons. These have a great comeback with rebirth in attractiveness. In 2018, a business that trades on such nostalgia could do very. Whether it’s velvet or an excess of denim, those born in the 1990s now fondly look back on things from their childhood. This is a market you will definitely want to tap into because Millennia’s are expected to have the most spending power of any generation in this year. What is the nostalgia business great to start? Including tracksuits, dungarees, and denim, a fashion shop could stock vintage clothes. The independent fashion businesses are on the rise, which was revealed last year. As a result, on this trend, 2018 could be the year to capitalize. In this millennial, Retro gaming is big one. Sells retro games and consoles, like the Nintendo 64 could be some ideas for businesses here include a gaming shop that buys. You can remember the Millions, Dip Dabs and candy laces if you’re of 90s children. So, creating a strong brand can help you stand out from the supermarkets, but it’s hard to open a sweet shop. “Households in the 65-to-74-year-old age group spent nearly a fifth of their total spending on recreation and culture in the financial year ending 2017” according to the report of the Office for National Statistics. This is for a category that includes pets and pet food that we’re talking about. Also, it’s rose by £0.80 to reach £5.40 of the average weekly spending on pets and pet food rose. Besides, Britons spend around £11.6 billion annually on gifts, special diets and activities for their pets according to the Opinium reports. What is the pet business great to start? It’s on the top of demand for the expert dog care. Starting a dog walking business could be an ideal move if you’ve got a love for dogs. You can choose to set it up and home because this business can have low start-up costs. Also, you can go mobile to provide pet owners with convenience. It could be tough in the era of the big pet superstores to open a pet shop. However, opening a pet shop could be for you if you like working with small animals and can offer a premium, tailored service.